Since FireMonkey is a cross-platform framework, it's not bound to Windows and it doesn't directly use things like the Windows message loop or handles. Being a GPU powered framework, FireMonkey uses GDI+, Direct2D/Direct3D or OpenGL to render the GUI, meaning that by default, FireMonkey and the VCL will not get along well, and you won't be able to add a FireMonkey control to a VCL application or vice versa, or even share FireMonkey and VCL forms within the same application. 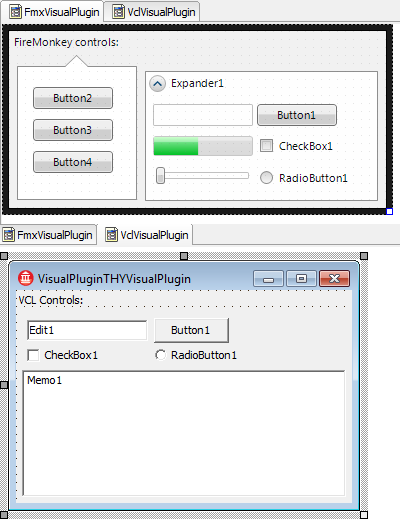 The FireMonkey sample demonstrates how Hydra can mix FMX and VCL in the same application. To build this sample you will require Hydra version 4 or higher and Delphi XE2 or higher. 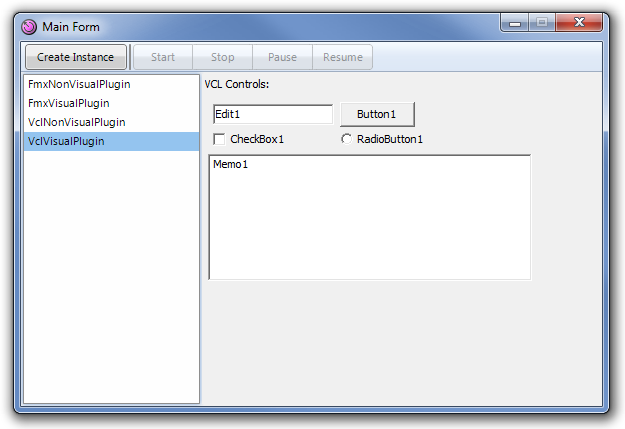 The sample contains two plugin modules, one for VCL and one for FireMonkey. 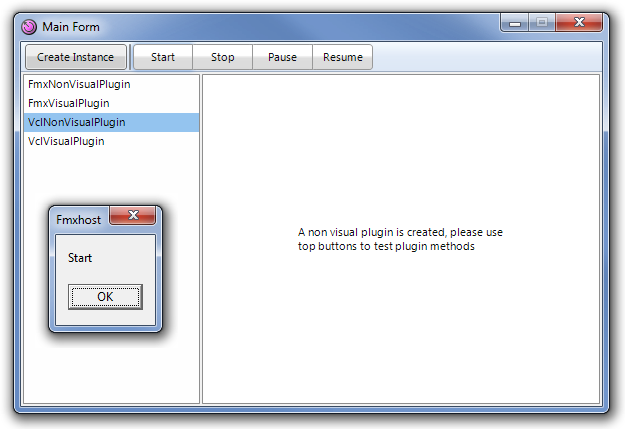 Each plugin module contains two plugins, one visual and one non visual. There are also two host applications, one for VCL and one for FireMonkey. Note how we load the plugins, @@@call to a ModuleManager.LoadModules('*Plugin*.dll') - will load all dll files that matches the search pattern@@@. First, we call the ModuleManager.ReleaseInstance(Instance). 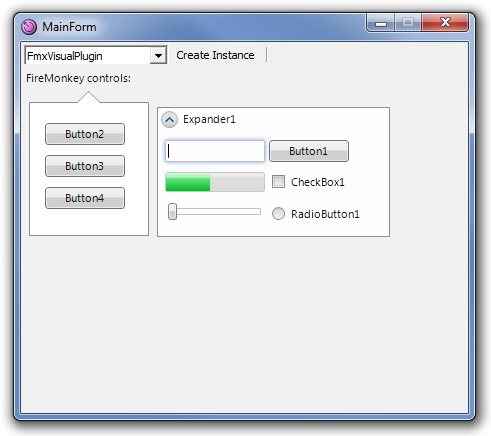 This method releases the previous instance of the plugin. 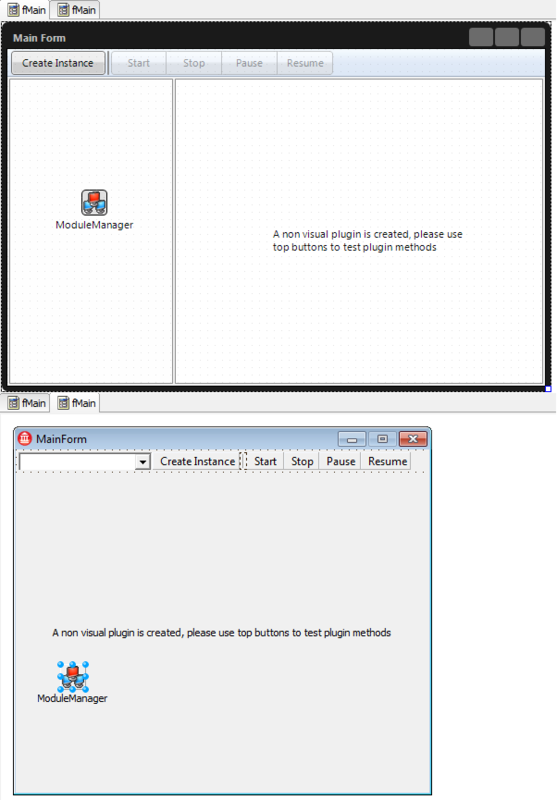 Now we can create a new one with ModuleManager.CreateInstance(PluginBox.Text, Instance). This method will create an instance of type@@@. So to work with this instance, we need to convert it to either a visual or a non-visual plugin. The Supports method will check if the instance implements the specified interface, and if it does, a reference to the plugin will be assigned to Result. Please note how we show the visual plugin: By calling the ShowParented method, we can show the plugin content @@@of a descendant (in case of VCL) or descendant (in case of FMX)@@@.